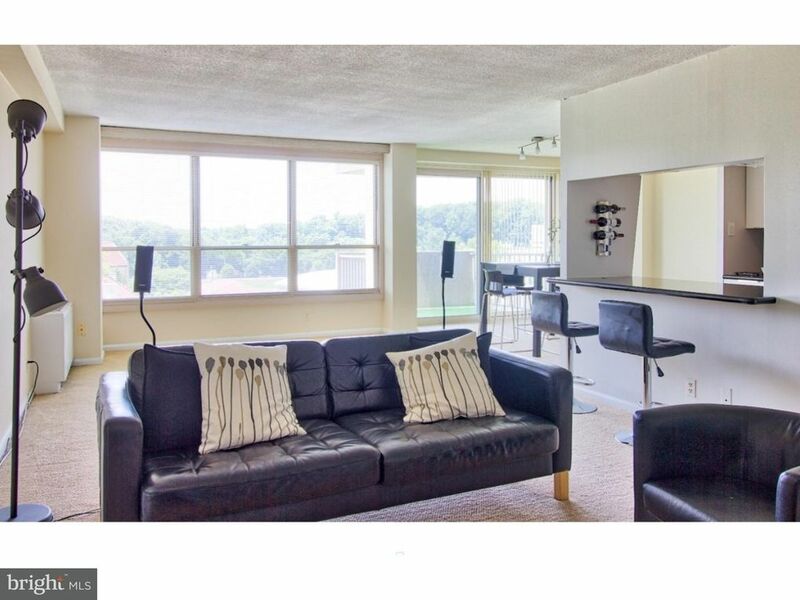 Enjoy a carefree lifestyle in this Renovated, Sunny and Spacious, 10th floor condo in The Green Hill's West Building. This condo features an open floor plan with a beautifully renovated kitchen and bathroom. The entry opens to the spacious living and dining room. The dining room has sliding glass door leading to the large balcony with gorgeous tree top views. The eat-in kitchen has been completely remodeled with new cabinets, flooring, granite counter tops and stainless steel appliances. The large master bedroom includes great closet space and a renovated bathroom with new tile, stall shower and fixtures. The hallway provides even more storage and a laundry area with washer and dryer. The Green Hill is a full service gated community which provides 24 hour security, doorman, on-site management and maintenance, health club, indoor and outdoor pools, tennis courts, playground, courtesy shuttle bus and social rooms. Indoor and outdoor pools and health club are available for an additional fee.